They should be properly designed or selected to offer maximum protection against blast, flying glass and other fragments. They should also provide a refuge if external evacuation is not possible or not desirable. If protection is required against other or multiple types of threat, then further guidance is available on the ‘Security Walling Systems’ page. It is extremely important, when developing the requirements for a Protected Space, to have a Design Basis Threat and a security risk assessment as this will impact upon both the protection and functionality requirements. Protected Spaces should not be confused with Secure Rooms or Secure Working Areas. Guidance on each of these can be found via the links on this page. 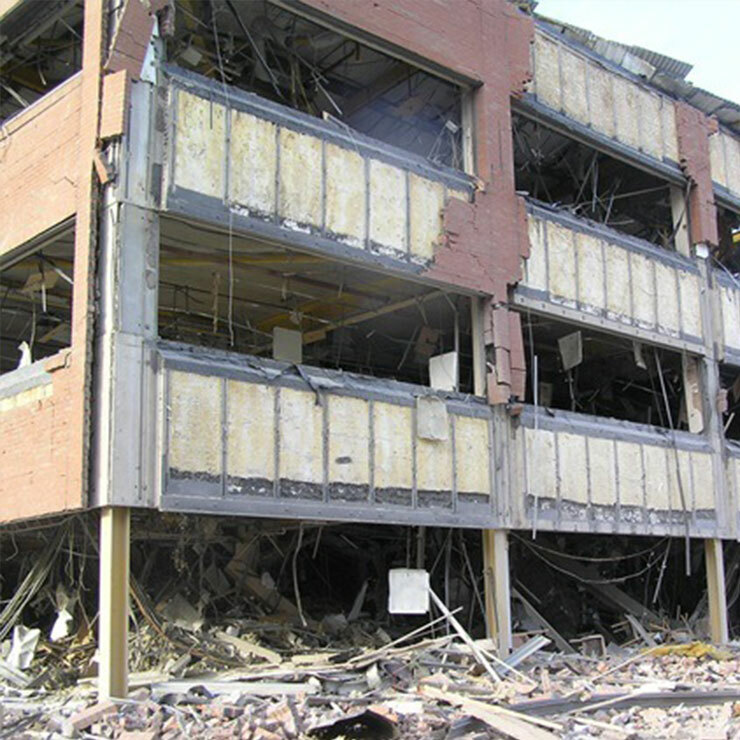 When choosing a protected space, seek advice from a structural engineer with knowledge of explosive effects. For operational resilience consider duplicating critical systems or assets in other buildings that are at a sufficient distance to be unaffected in any emergency that denies access to the main facility. If this is not possible, seek to locate vital systems in parts of the building that offer similar protection to that provided by a protected space. Communication systems should be available within protected spaces and should be subject to regular testing. This testing should include ensuring that independent power supplies will be operational during an incident. Do not rely on mobile phones which are unlikely to be able to receive a signal in the protected space. If corridors no longer exist then evacuation routes, assembly or protected spaces may be lost.